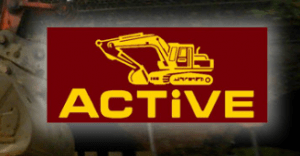 Active Plant Hire is based on the London Essex border in Upminster and caters for every aspect of Haulage, Excavator, Heavy Machinery, Operated plant and Equipment hire services for domestic, commercial and trade customers across London and the surrounding counties. We are plant operator specialists and can also offer ground works using our own specialised personnel. Our professional and unique partnership approach to all customers enables us to provide the very best service, giving all customers complete satisfaction and peace of mind. With same day delivery, we are proud to offer the complete plant hire service for customers throughout London and the surrounding counties. From one off private hire to on-going trade contracts, ‘we provide top quality machinery and plant,’ explains Jerry O’Donovan our Transport Manager and Director. FORS dovetails our business principles and ethics. When we looked at the requirements and benefits of joining the scheme, we saw that they fit perfectly with our ethos of improving safety whilst complementing our drive to improve fuel efficiency and reduce our environmental impact. We are proud of achieving our Gold accreditation and we will ensure we maintain this standard and grow with FORS as the standard continues to develop. The performance management toolkit really helped us set our targets for reducing our carbon footprint and improving our MPG. FORS has helped us improve our filing systems and procedures. Using these systems can generate cost saving as well as an enhanced safety focus. We have managed to keep our accidents/incidents down to zero for the last 4 years in a row. We achieved this by making sure we always selected the best route possible to all our sites and we plan ahead before leaving the yard. We also reduced our parking fines and charges by 57.14% in the past 12 months. We get all our drivers to complete a comprehensive Medical Declaration on an annual basis – even though the FORS Standard states once every 5 years. Driver’s health and wellbeing is considered and thought of at all times. A close and open relationship with them ensures that we are aware of any physical or mental change that may result in the requirement of prescription medication. Any change will be investigated to see if it’s still safe for the driver to be driving for the company and may even result in us asking the driver to get a letter from his doctor informing us whether he/she is still able to drive for the company. The risk is then managed to ensure there is no risk to the driver or other road users. We continue in our drive to recruit and help young drivers into the Transport industry. We only have one operating centre which is in the middle of the countryside. We don’t carry out any vehicle servicing at our site, we only use this site for parking our Vehicles and plant equipment. Servicing is done by main dealers at their premises and as we are a plant hire company we deliver and collect plant equipment from constructions sites. All our vehicles are fitted with White Noise Reversing alarms as a consideration to the public. We carry heavy equipment to and from construction sites across the whole country. We move anything from a digger to a crane. As we rely on our customers asking us to collect equipment from various construction sites across the whole country, we never know where we are going until they need us. Therefore we can’t afford to try and move anything via barge or train as we collect all the equipment from building sites and there is no other method available, other than using a lorry. We are required to deliver anywhere in the country making any other mode of transport (other than a lorry) impractical. We do however have a transport logistics department who insure that haulage runs are kept to a minimum and journeys are combined whenever possible, therefore using a lorry is the most cost effective way of moving our client’s goods. We are in the process of replacing all our lorries with Euro 6 engines while maintaining a reasonable cost base for the business. We have looked at electric vehicles but because of the weights we carry and the fact that our lorries have specialist equipment fitted, no manufacture has yet produced an alternative fuelled vehicle that can carry the weight we do and go over the same terrain we do. This is a market we will continue to monitor, making sure we are best placed for when suitable vehicles are available. Through staff management and monitoring we will continue using what FORS has taught us to improve our MPG and reduce any wasted idling we might have and keep trying to reduce our parking fines and charges to zero. Gaining FORS Gold Accreditation reflects how dedicated we are as a company to improving road safety and the safety of all vulnerable road users in London as well as nationally. While this is a significant achievement, we will continue to work with FORS – moving forward to further improve the standard in order to give the haulage industry a safe and environmentally stronger image. In addition to this, we have also managed to make a significant saving by reducing our fuel usage and improving our MPG.